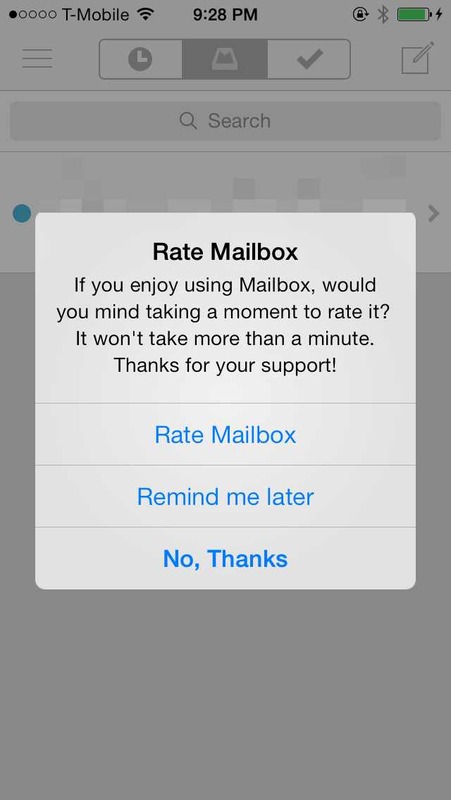 There's been a lot of buzz in the iPhone developer world about Rate this App dialog boxes. You know the ones I mean, the ones that pop up and say would you like to review this app? and give you some buttons like yes no or later. The controversy started with a John Gruber link to a post saying that we should all give one star reviews when they have one of these dialog boxes in the apps. Instapaper developer Marco Arment jumped in with his thoughts, which essentially came down to "don't do it". They continued with some discussion on their podcasts The Talk Show and Accidental Tech Podcast. However, I think they slightly missed the point on why developers do this. They seem to be under the impression that developers were trying to get as many reviews as possible in an effort to gain the ranking systems in iTunes. I am now a little embarrassed to admit it, but I have one of these rating dialogs in my app. My goal, however, was never to get more ratings. My goal was to get good ratings. And by good I don't just mean positive, but also well-thought-out. One of the great things about these popups is that you can choose to show them to the people who are actually using your app by only showing the dialog box after the app has been opened a certain number of times. That way you you'll hopefully get a review from someone who is finding your creation useful. As the app store ratings are riddled with ridiculous comments like "I'm giving this dictionary app 2 stars because it doesn't stream live music", hopefully some informed reviews from experience users will balance things out. On the other hand, I definitely see the points behind these rants against "rate this app" dialogs. It's a bad user experience. When someone opens your app it's to DO something, and that something is being interrupted. When I added this this "feature" it wasn't a very common practice at the time. Furthermore, I set it to only pop up when the user opened a the new version of the app for the 30th time or so. Since I have made very few updates over the last three years my users have seen this popup at most 2-3 times over the last 3 years. However, this practice has become a lot more prevalent. Now that so many apps are doing it the cumulative effect is annoying. I think I'll remove this in my next update, but no promises when that will be . . .